(July 28, 1944) – Staff Sgt. 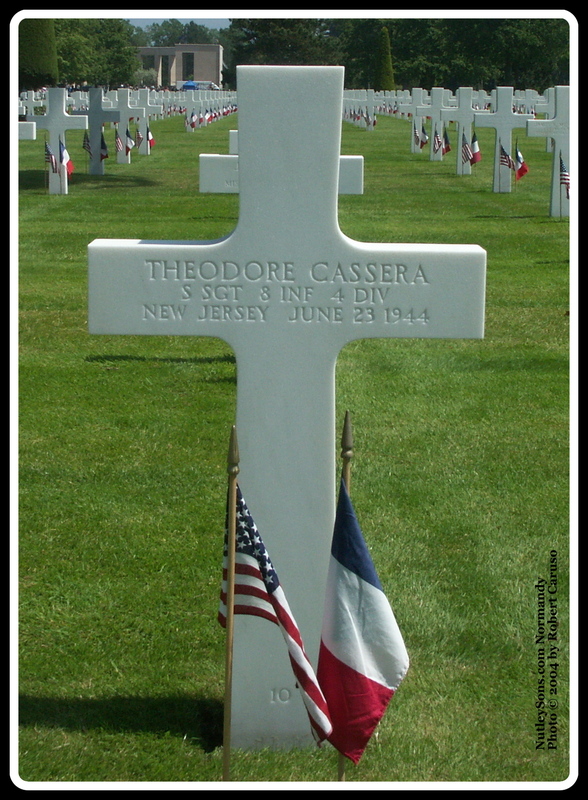 Theodore Cassera, 26, of Glendale Street, was killed in action in France on June 23. S/Sgt. Cassera served in the U.S. Army, Eighth Infantry Regiment, Fourth Infantry Division. He is buried at the Normandy American Cemetery at St. Laurent-sur-Mer, France, Plot E, Row 8, Grave 10. He received the Purple Heart Medal, WWII Service Lapel Button, WWII Victory Medal, European-African Middle Eastern Campaign Medal w/one bronze service star. Domenic Cassera, a brother, who was a civilian instructor at an airfield in Missouri lost his life in a plane crash there on April 26, 1943. 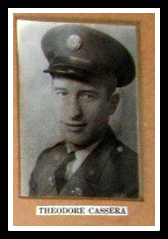 Lt. Anthony Barile, pilot of a R-17, husband of the former Josephine Cassera, S/Sgt. Cassera's sister, who lives at the Glendale street address, is a prisoner of the Nazis.